Thought I would share a card that I made for my teacher in Egypt. She coached me for six months and then she had to go . So I wanted to send her a card thanking her for the time she spent for me. I wrote the sentiment in Arabic. It reads “Jazaki Allah khayran” which somewhat means May God Reward you well. It is just a nice way of saying Thank You. 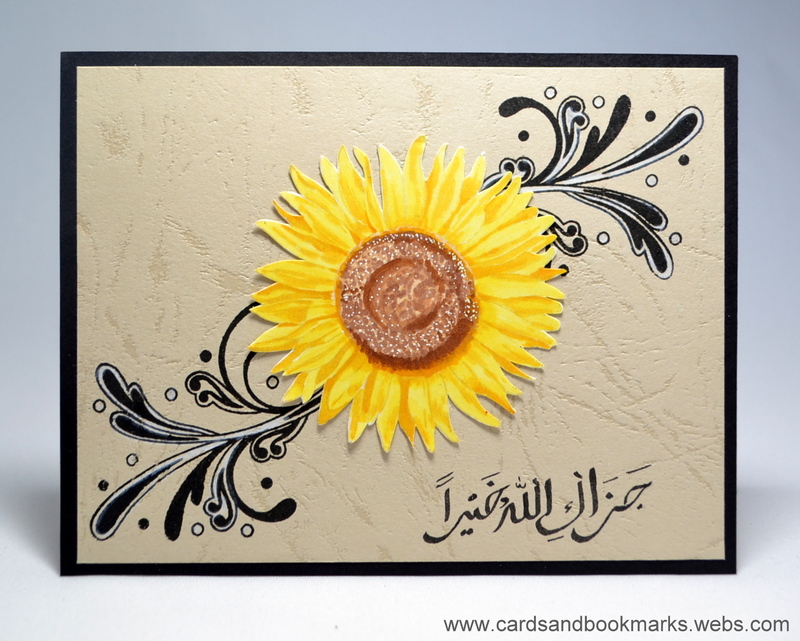 Paper: Neenah Solar white, old textured ivory cardstock. Ink: Copic markers, Memento Tuxedo Black. Zig Calligraphy marker.